We now offer K-Laser Cold Therapy! Cold Laser Therapy can be used to reduce pain associated with injury, recovery, and other common conditions. It works by encouraging tissue regeneration and increasing circulation in order to draw nutrients to the treatment area. Cold Laser Therapy is painless and often pets are very relaxed during treatment. 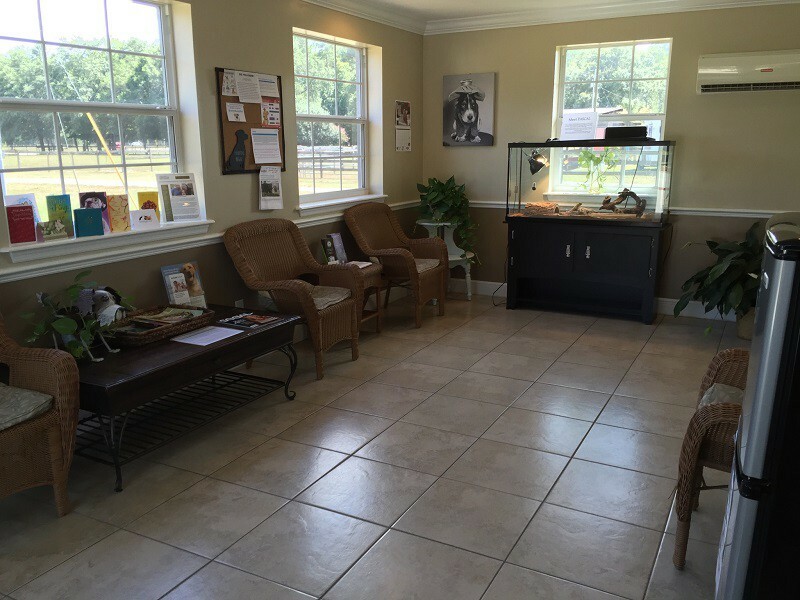 Southeast Veterinary hospital is a family-owned, boutique-style practice that takes pride in providing high quality veterinary care and exceptional client service. 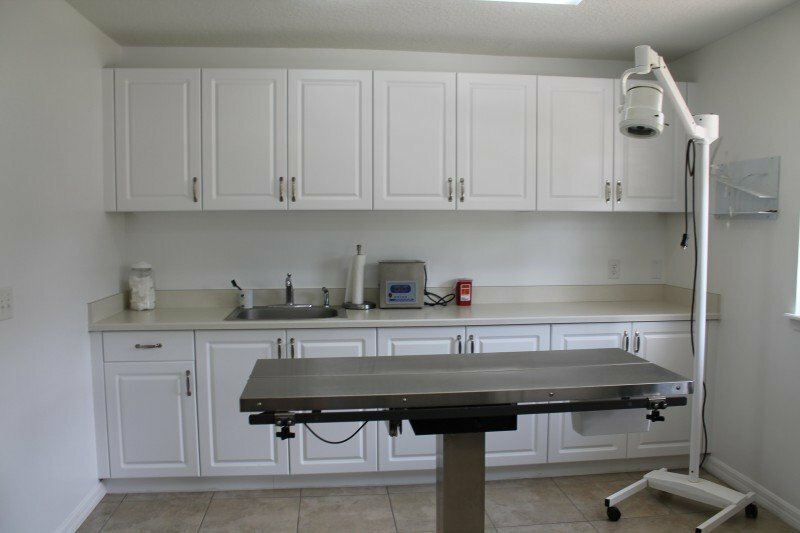 With a combined 20 years of veterinary experience and a highly trained, friendly staff, we look forward to taking care of you and your pets’ individual needs. 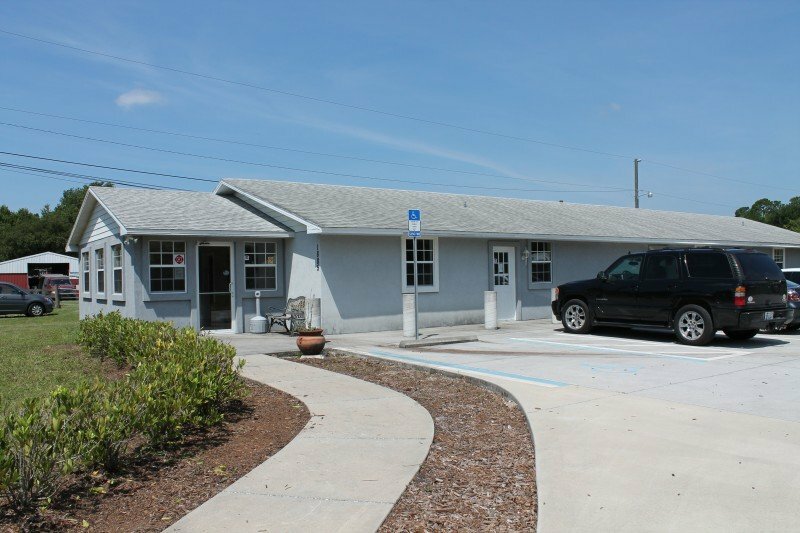 The doctors at Southeast Veterinary Hospital are experienced professionals; Board-certified in Surgery, and members of the AVMA, FVMA, JVMS, and St. John’s County Chamber of Commerce. Compassion and concern for your pets’ safety, comfort and well-being are our top priorities. Please contact us today to schedule an appointment. See Our Veterinarian, Dr. Timberlake, On The News! Our hospital has become a member of the American Veterinary Medical Association’s Veterinary Care Charitable Fund. The American Veterinary Medical Foundation (AVMF) is the charitable arm of the AVMA. 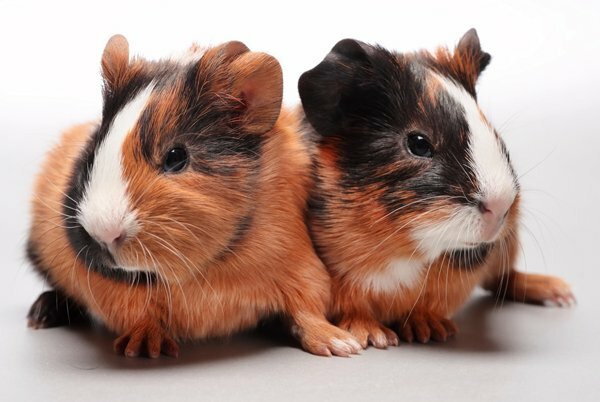 By donating to the AVMF Veterinary Care Fund, you are helping to provide financial assistance and resources that are used toward the medical care of animals in our community. Learn more about the AVMF, or donate today! 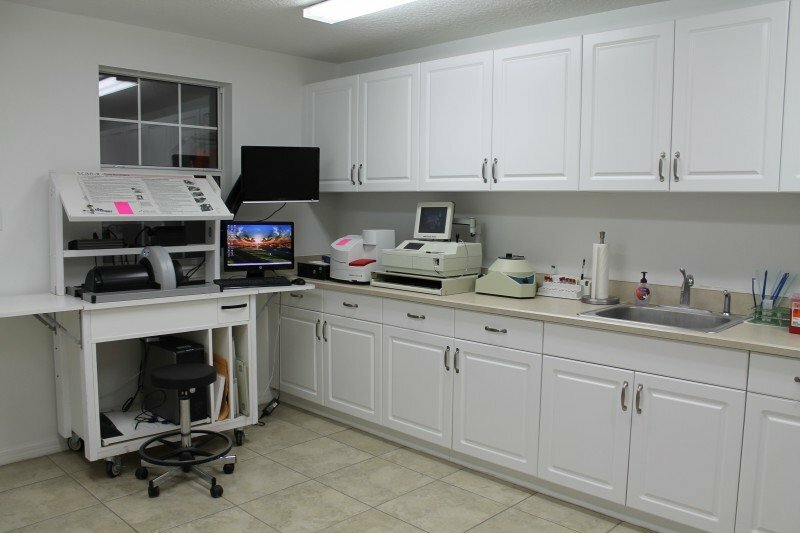 At Southeast Veterinary Hospital, we not only offer the highest quality care, but we also go out of our way to make sure the your appointment is as comfortable as possible for you and your pet. 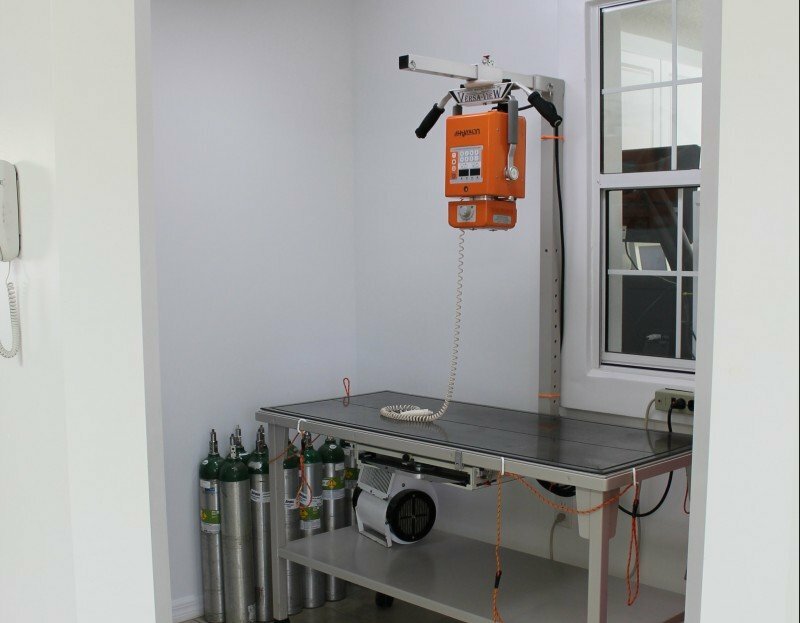 Rather than the cold, sterile hospital environment, we have created a boutique style vet hospital that is warm and inviting. 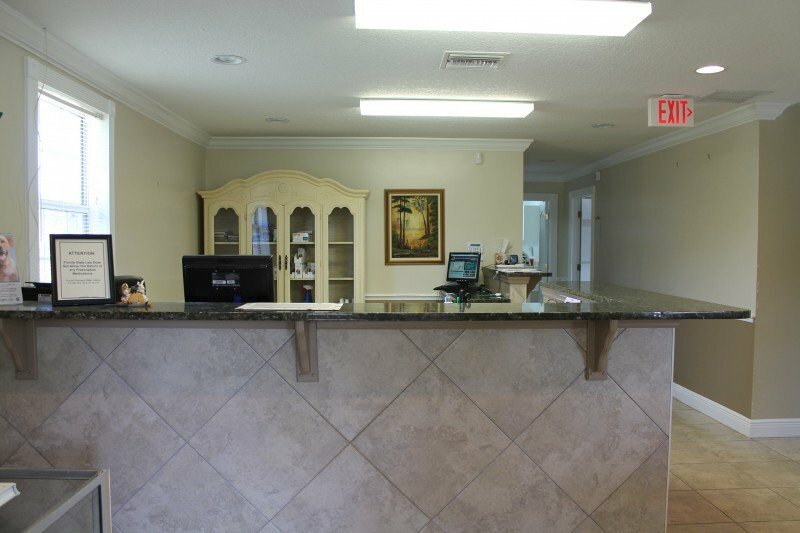 Whether you are staying with your pet or taking advantage of our drop-off appointment services, at the start of your visit to our office, you can expect to be greeted by a smiling face in our reception area where you and your pet will be checked in. In our comfortable waiting area, you can help yourself to our complimentary coffee and water, use our free wi-fi, watch TV, or check out our reading materials. Don’t forget to check out our community board while you wait to see what is going on in St. Augustine! 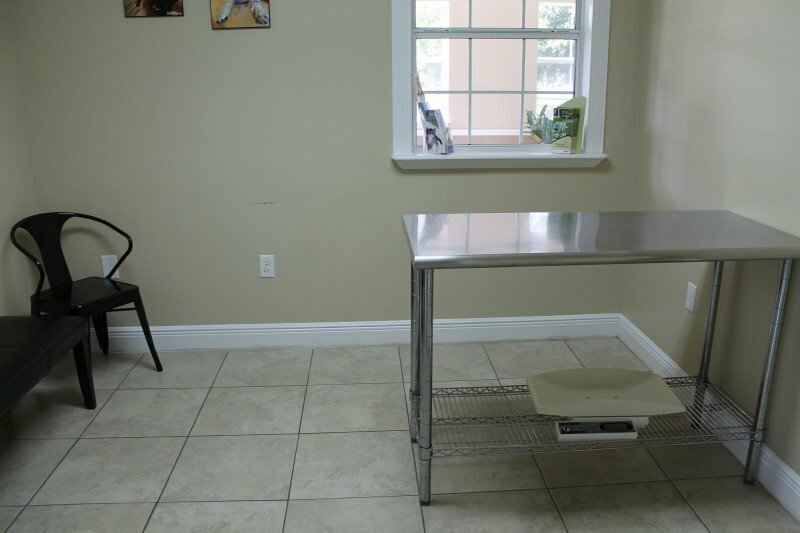 During the appointment, you and your pet will receive extremely individualized care. Whether trying to get a head start with preventive medicine, or treating an existing illness or injury, our veterinarians and technicians work with you to create a specific plan of treatment that will be most effective for your pet. After graduating high school, Dr. Timberlake enlisted in the United States Air Force. Dr. Timberlake is recently retired from the military, having served 22 years total between active duty and Reserve Assignments. Dr. Chad Timberlake graduated from the University of Illinois College of Veterinary Medicine in 2007. After graduation, he started and ran a successful equine ambulatory service in northern Illinois. 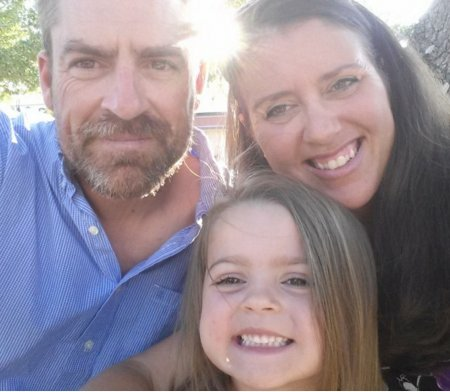 The family moved to Florida in 2010 and he has practiced small animal medicine ever since. If you see Dr. Timberlake and want to talk about motorcycles or fishing, please feel free! Graduated from Ross University in 2003. Performed a clinical year at the University of Georgia, followed by a 1 year Internship and 3 year Surgical Residency at the University of Illinois. She was the Medical Director for the Morrie Waud Equine Center in Delevan, Wisconsin and was an adjunct professor at the University of Wisconsin. In 2008, she took on a Lead Associate position with a multi-hospital private practice where she was in charge of running several hospitals, training multiple doctors and para professionals. 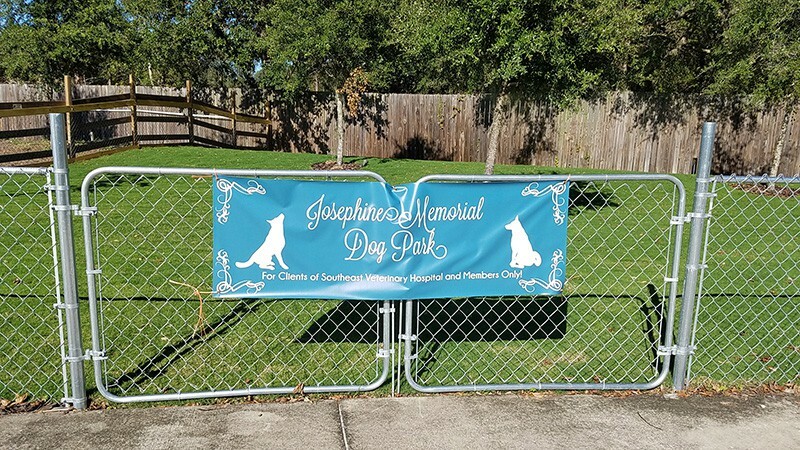 She has also taught at Rockford Business College for the Veterinary Technician Program and is currently the Secretary of the Jacksonville Veterinary Medical Society. Check out some of our reviews below. Want to read even more? Check out our Yelp, Facebook, Google or ePetHealth Reviews! They are amazing here. Drs. Timberlake are so through. Took lots of time with my boy. 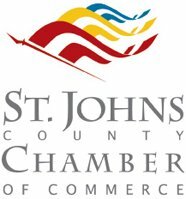 If you’re in St. Augustine, please give them a chance. If you’re not, it’s worth the drive. I’m very pleased with the care we received today and will be transferring my other two dogs here as well. Tell them I sent you and you get a free office exam. Love Dr. Britany and Dr. Chad!!! I recommend Southeast Vet 200%! Both Dr Chad & Britany Timberlake and all their staff are amazing. They have gone out of their way to help our pets just as they were their own. We greatly appreciate everything that everyone here has done for us! I have worked in the veterinary industry for 13 + years so, I’m pretty hard to impress when it comes to quality animal/vet care. I have now taken all 3 of my animals there and also my dads dog. I also have referred others there who were and continue to be equally impressed. Every time I visit, they impress me more. Great with the animals and their owners. State if the art facilities with very reasonable prices. Friendly, helpfull staff. Dr Brittany takes the time to explain everything and has a great personality . Dr Chad is also top notch. I would highly recommend them to anyone including my clients. Drs Chad & Britany Timberlake are awesome. I’ve known them for years and they have taken care of my animals for routine care and when I needed them the most. Dr Timberlake removed a large mass from my boxers neck. I was a nervous wreck but she assured me that she would take good care of him. She called me immediately following surgery to let me know that everything went well and that he was doing great. I was out of town during the time that it happened and I was so relieved when she called me. She took excellent care of him pre, during and post operatively. She also made recommendations for ongoing care. Not only are they very intelligent but they are also very down to earth people and will always be honest with you. Their clinic is beautiful and their staff is fantastic. I would recommend them to anyone and everyone! Once you have set up your first appointment, download and fill out the necessary forms here. 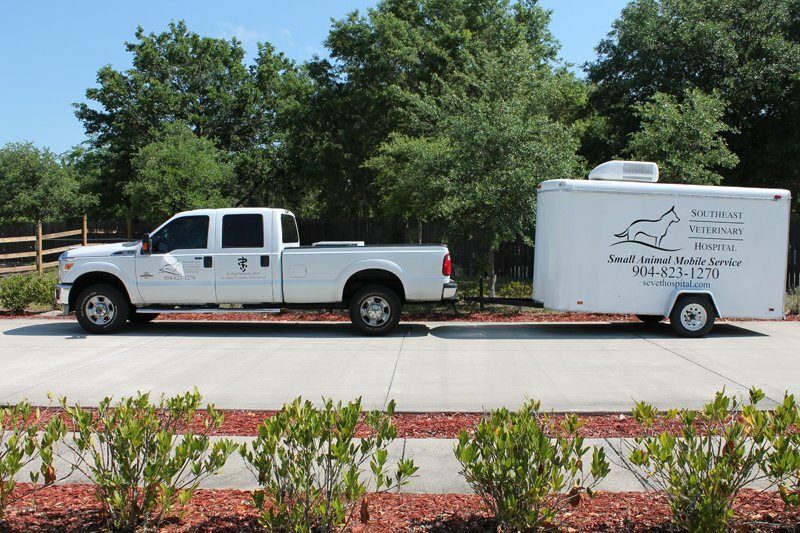 Our Veterinary team provides compassionate care to the St Augustine & Jacksonville communities. We are looking forward to hearing from you! For questions, please call us at 904-823-1270. K-Laser Cold Therapy – Click to learn more! *Please contact our hospital online or at (904) 823-1270 for more information. 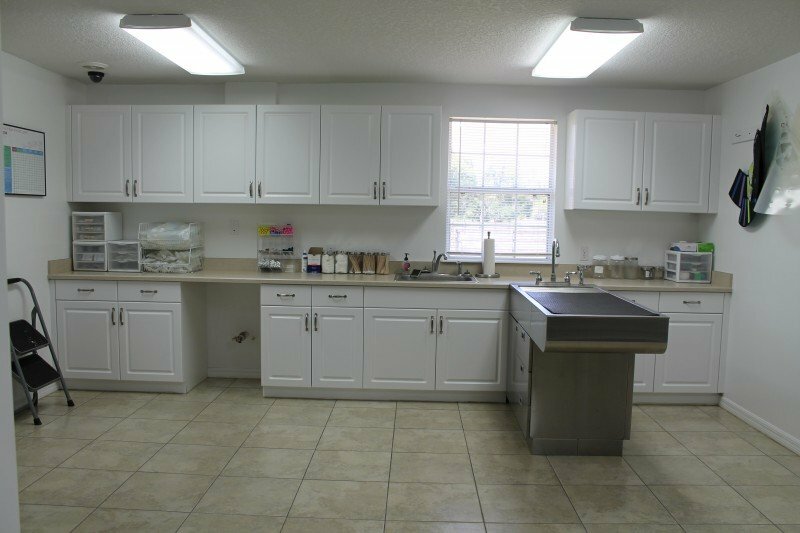 Southeast Veterinary Hospital strives to make every trip to our hospital as smooth and stress-free as possible. To make the check in process even easier, we provide our patient forms online so that you can fill them out in the comfort and convenience of home, and then bring it with your to your pet’s appointment. If you do not already have AdobeReader® installed on your computer, click HERE to download. Before your first appointment with us, please print and fill out the New Client Check In form. 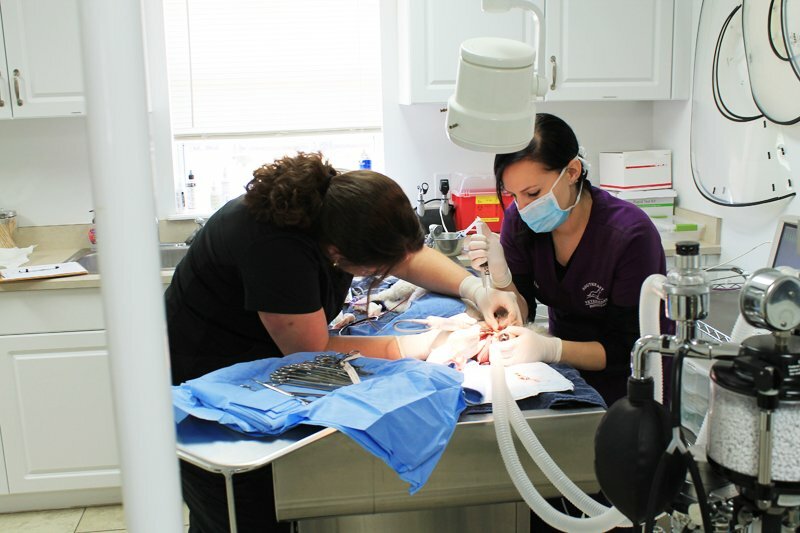 Use this form if your pet needs a dental procedure (e.g. anesthetic cleaning, tooth extraction, etc.). Use this form if your pet needs surgery, or to have a procedure performed that requires anesthesia. In order to maintain our high standard of service, we request that payment be made at the time services are rendered. We provide estimates for all surgeries and hospitalizations. If you have not received an estimate, you are welcome to request one at any time for your expected charges. We also accept Pet Assure! Care Credit: When unexpected illness strikes a pet, unexpected expense strikes as well. Southeast Veterinary Hospital understands this and accepts payment through the CareCredit program. It takes just 5 minutes to complete an application and will allow you to break down your payment into 3 monthly installments. You can apply yourself online at: www.CareCredit.com/apply. Trupanion Express: We are happy to accept Trupanion Express as another means of payment for our clients. Please ask us about a free 30-day trial! Thank you to Dr. Persky and the Jacksonville Zoo for inviting us to the zoo’s River Branch Foundation Animal Medical Center yesterday! It was a little bit of work and a whole lot of fun: Dr. Timberlake spent the first part of the day working side by side with Dr.
To take advantage of the specials and services we offer - call our hospital today at (904) 823-1270 or contact us online! We are happy to provide a 10% discount on all services to our military members with valid ID. Refer a friend for a $15 credit on your account, and a free first visit for your friend! Did you have some time open up in your schedule last minute? We have same day appointments available for your pet’s exam! Tight schedule? Lots of errands to run? Drop your pet off for their appointment and pick them up when you’re done! Want to avoid the stress of a hospital visit? 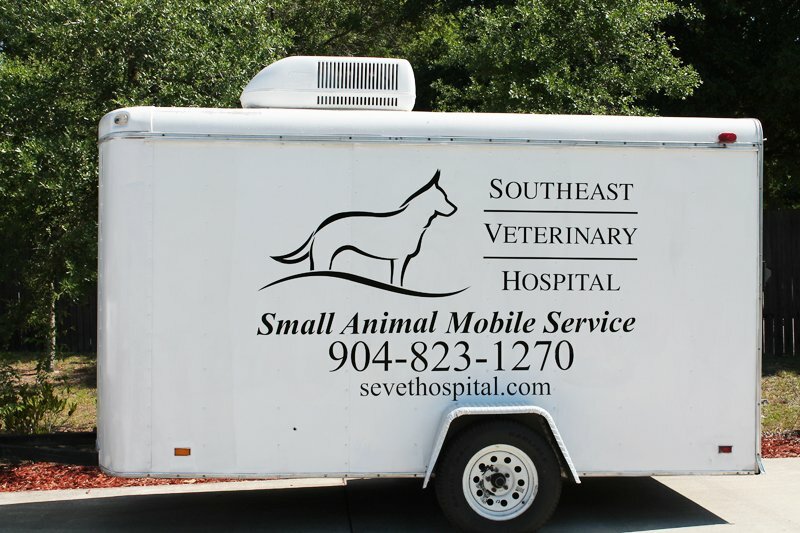 Ask about our small animal mobile services! Always forget your furry friend’s monthly heartworm dose? We have 6 month injectable heartworm prevention available! Earn 5% back on all in-house purchases. Earn free nail trims, baths, and boarding nights for your pets. Rewards on your pets’ favorite prescription food, chews, and monthly preventatives. And much more! Contact us today to learn more about how you can join the Southeast Veterinary Hospital Loyalty Program!